Quick and easy dinner recipes are perfect when you don’t have a lot of time to cook. 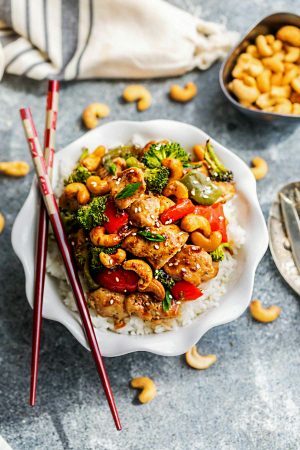 Along with foil packets, sheet pan and slow cooker recipes – stir fries (like Beef and Broccoli and this Kung Pao Chicken) happen a lot around here. 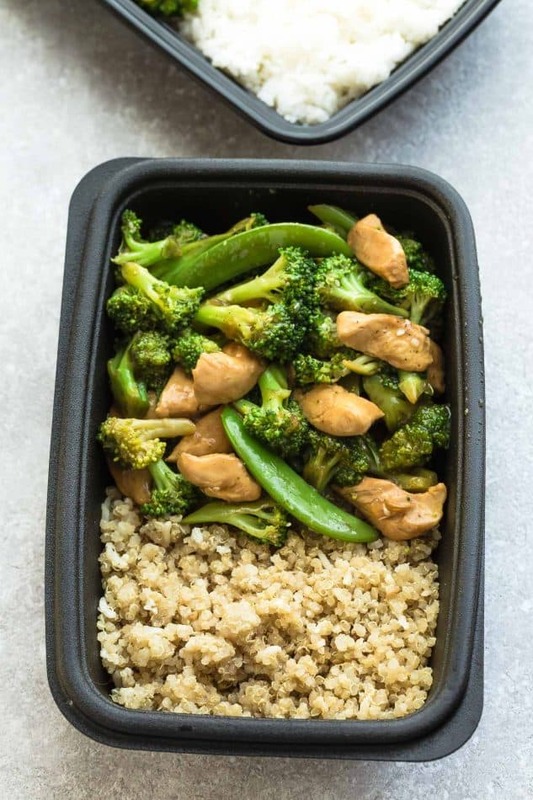 This Chicken Stir Fry with Broccoli and Snap Peas comes together in under 30 minutes and is super easy to customize. It’s a great clean out your fridge kind of dish. So you can totally use your favorite vegetables and protein that you like or have on hand. Red bell peppers, asparagus, some spinach or bok choy would be great in here as well. 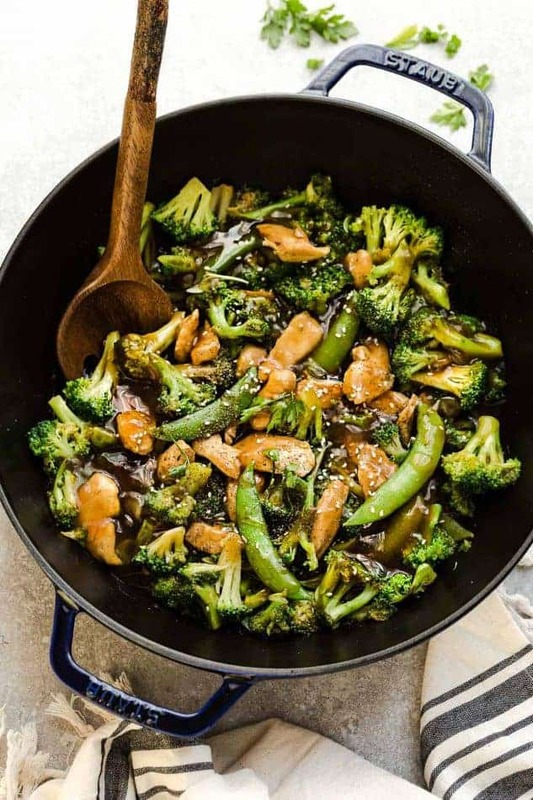 Chicken Stir Fry with Broccoli and Snap Peas – an easy 30 minute recipe that’s perfect for busy weeknights. 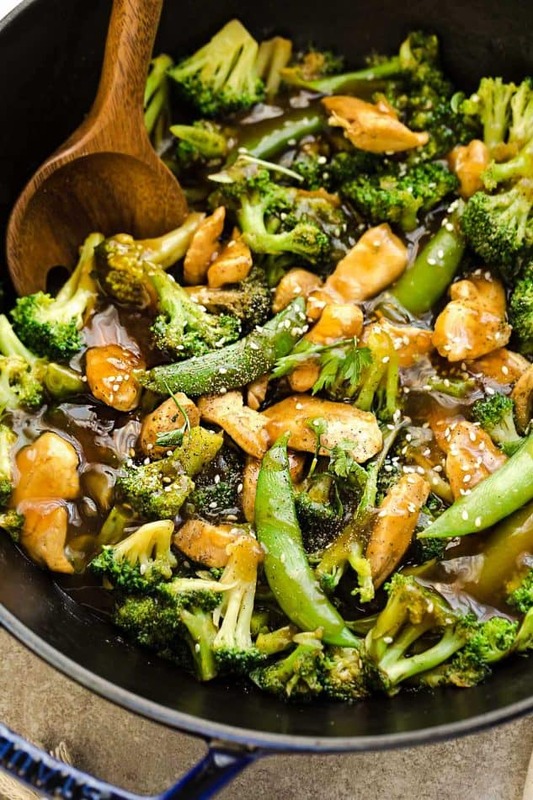 Tender chicken sauteed with fresh broccoli and snap peas coated in a delicious savory sauce. 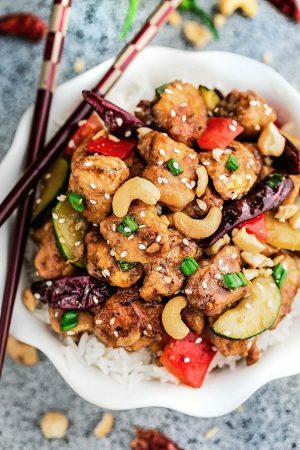 Full of flavor and much better than take out! Season chicken with salt and black pepper. Sprinkle in corn starch and stir until combined. Meanwhile, whisk together all the ingredients for the sauce in a small bowl. Set aside. Heat 1 1/2 tablespoons oil in a large wok or pan and heat over medium high heat. Add the chicken and cook for 3-4 minutes, or until chicken is slightly brown and cooked through. Transfer on a medium plate and set aside. 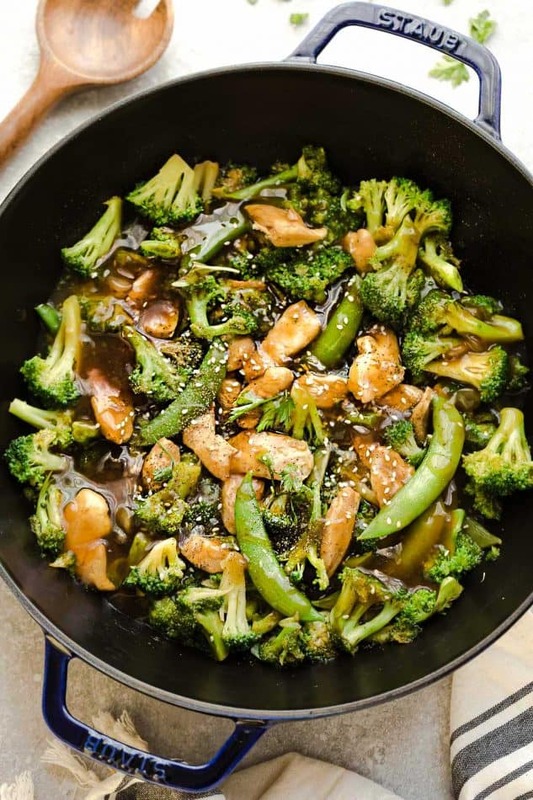 Add the remaining oil then add the broccoli and snap peas to the pan. Add garlic and ginger and cook for 3-4 minutes or until vegetables are just tender. Return the cooked chicken to the pan and pour sauce on top. Turn the heat to high and allow the sauce to thicken and bubble (about 30 seconds). Toss until coated and adjust seasonings as needed. 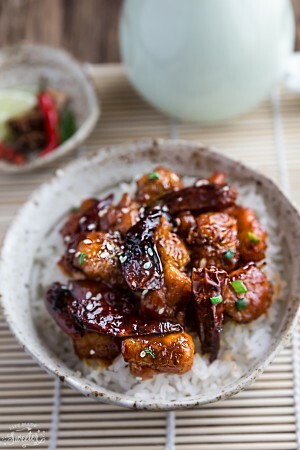 Sprinkle with sesame seeds and green onions and remove from heat. Serve hot with cooked rice, quinoa or noodles. Divide into lunchboxes along with cooked rice, quinoa or rice noodles.